Thankfully I don't have to give the chemistry exam for the next entrance or I would have surely gone mad! which is your next exam? Entrance for NTU, on 25th and 26th. 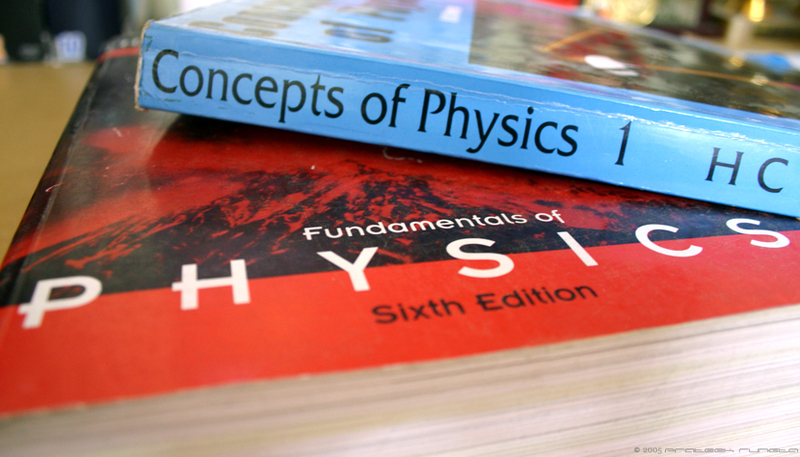 the halliday-resnick book is used for 1st year physics for engineers at my university. Maybe it is Aniket but I've been following it for my 11th and 12th too. Whether u had to give Chem or not,Yes..... u r already Mad,u dunt need 2 become One again. Bavani - If a mad person called me mad, I wouldn't object. Rashmi - I do need all the luck I can get. This looks horrific. You should write scripts for psycho-thrillers. Ugh. Physics. Quite possibly my worst subject in high school. Good thing I went on to become a writer.